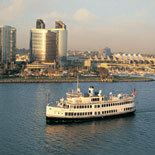 Enjoy the spectacular Sights and Sounds of magnificent San Diego Bay on a 2 hour Harbor Cruise. Cruise the Harbor in style and comfort from the observation deck of one of Hornblowers beautiful Yachts. ALL ABOARD! The Big Bay, as locals call San Diego Bay, boasts some of America's most historic ships such as the USS Ronald Reagan and the USS Midway. 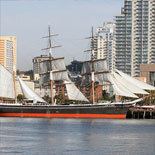 It also plays host to scenic sights of the Coronado Bay Bridge and Seaport Village, to name just a few. The Big Bay is home for wildlife such as Blue Herons, Sea Lions, Pelicans and more. 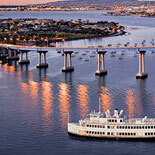 If you are looking for the best way to see the San Diego Bay and it's attractions, buy your eTicket and board the Hornblower San Diego 2 hour Harbor Cruise. This harbor cruise is the way to go. It's an Adventure you do not want to miss! Welcome Aboard! 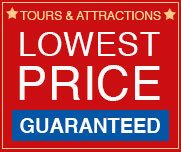 Scheduled Departure times: 10:00 am - 12:15 pm; 11:15 am - 1:30 pm. 12:30 pm - 2:45 pm; 1:45 pm - 4:00 pm; 3:00 pm - 5:15 pm. 4:15 pm - 6:30 pm (Memorial Day Weekend through September). N. Harbor Dr. and Broadway St.
Minors require adult supervision. 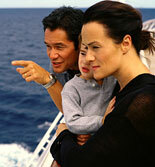 Passengers over 18 years of age are required to have valid photo identification. Dress in layers for comfort. Bring a Camera. 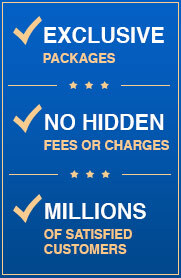 Hornblower does have handicap accessibility on some, but not all, of the yachts and decks. Call customer service to ensure handicap accessibility. Boarding begins approximately 15 minutes before departure. Allow enough time for traffic and to find parking. Seating is on a first come, first served basis.